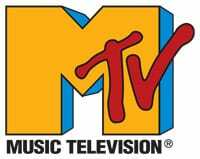 Viacom’s MTV, VH1 and CMT have announced the Live Music Day Festival, an online and mobile festival that will take place during the O Music Awards on June 19. The Live Music Day Festival will last for 24 hours. The event will feature several genres of music, including indie, rock, folk, country, hip-hop, pop, electronic dance music and R&B. The more than 50 performing artists will range from Ashley Monroe to Gavin DeGraw. Additional performers include Paramalee, Matt Nathanson, Blackberry Smoke, Cadillac Three and Brandy Clark. For the first time ever, the awards will feature a “Make a Band Famous” contest in which five different bands will compete to play VMA weekend in August and become MTV’s Artist to Watch, VH1’s You Oughta Know or CMT’s Listen up band. The contenders include Chill Moody, Darling Parade, The So So Glos, Striking Matches and Syd Arthur.